Ellen DeGeneres isn’t sitting in Paula Abdul’s old seat. She’s batting leadoff, on the far edge of the four-seat podium. You can tell it’s time to get serious on “American Idol.” The red Coke cups are back. No more shilling for Vitaminwater — it’s time for the real thing. The big news of Tuesday’s first round of the “American Idol” semifinals was that new judge Ellen DeGeneres isn’t sitting in Paula Abdul’s old seat. She’s batting leadoff, on the far edge of the four-seat podium. Randy Jackson slides down a spot to the No. 2 hole, followed by Kara DioGuardi at No. 3. Simon Cowell, of course, bats cleanup. Tuesday night saw the 12 women take the stage, with the men getting their turn Wednesday. The judges had at least a few bad things to say about everyone, but generally speaking the quirkier girls got the best response. Everyone liked Lilly Scott, the Denver auditioner who said she was basically living in her car and playing on the street a year ago. Kara credited that experience for making her rendition of The Beatles “Fixing a Hole” sound great and recommended that approach, even though being a busker to pay the rent leads to things like, well, living in cars. Who knows what the judges really think of Crystal Bowersox? They like that she’s an original indie artist, yet Simon and Kara want her to be more than a coffee shop performer. So basically, what they really like about her they want to see less of? Uh, OK. Simon again brought up that you could see similar acts performing on the streets, which makes me think that musicians have his daily routine all mapped out by now and stake out positions where he’ll hear them. Dumb idea — he doesn’t strike me as the kind of guy who tosses many dollar bills into guitar cases if he’s in a hurry to get to a taping. How about Siobhan Magnus becoming the first glass-blowing apprentice to make the “Idol” semifinals? (And no, I did not check the backgrounds of everyone to ever get this far, but I remain confident in my statement.) She did a nice job doing Chris Isaak’s “Wicked Game” and should be safe. Michelle Delamor was told that “Falling” by Alicia Keys was a safe choice for her, as though Keys is a really easy person to mimic. And poor Katie Stevens. She’s the latest teenager to sail through to this point, only to be suddenly told that they need to sound younger. Not everyone can be Taylor Swift, people. And Ellen was the one who brought it up, so she now officially fits in with the rest of the “Idol” judges who have tortured young women with that line for nine seasons now. Still, they all stand a better chance than the singers who went early, because in a two-hour episode, who really remembers what happened at 8:15 p.m.? Paige Miles was good, but was mainly memorable for saying, “I’m sewn into my outfit. I’ve been waiting to pee for five hours.” Jannell Wheeler did OK with Heart’s “What About Love,” but didn’t have much in the way of pizzazz. Katelyn Epperly could have changed her name to Barbie with her makeup and fancy hairdo, but the judges loved her despite the rough edges. Didi Benami sang a little later and was fine, but memorable only to her family and friends, and those who lost money betting that she would break down in tears at some point during the broadcast, as she did at her initial audition and in Hollywood. Want to impress your friends and predict who will be voted off on Thursday’s results show, when the bottom two vote-getters see their “Idol” journey end early? One possibility is Haeley Vaughn, who sang “I Wanna Hold Your Hand” and made it her own, but had some flaws in the vocals. 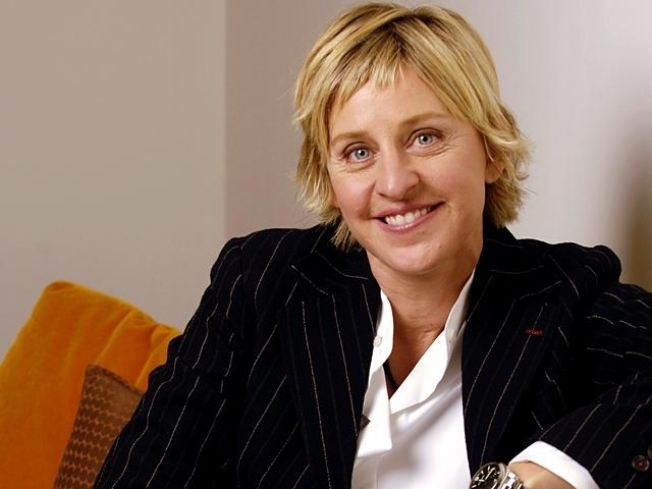 Ellen, the non-musical expert, enjoyed it. Simon, the musical expert, called it “a complete and utter mess.” We’ll see who wins out. The two best bets to go, however, are Ashley Rodriguez and Lacey Brown. Rodriguez didn’t get much airtime before Tuesday’s show and didn’t make any waves with Leona Lewis’ “Happy.” Brown’s “Landslide” got the worst feedback from the four judges, and the Texan who barely missed making the semifinals a year ago may barely have a chance to unpack her bags this season before going home. But Simon did say she has nice eyes, so at least she’s got that going for her.